Mr. J.W. Rodney Peyton OBE is an accomplished general surgeon, author and trainer with a longstanding commitment to surgical education, and a proven track record of pro-activity in developing and implementing both clinical and training initiatives. He has been involved in medico-legal reporting and court appearances as an expert witness since 1983, and is a founding member of the Expert Witness Institute. Responsible for the development of appraisal and assessment workshops on behalf of the Royal College of Surgeons, his best-selling book Appraisal & Assessment in Medical Practice offers a practical guide for all involved in setting up and running appraisal/assessment systems in a medical environment. Rodney Peyton is a Consultant Surgeon with over 25 years experience in medico-legal practice. He has been involved in over 40,000 cases, appearing for plaintiff, defendant and as a single joint expert. His practice involves road traffic accidents (whiplash), work related injuries and medical negligence cases. He is a well-known author and international speaker on medico-legal issues, being the co-editor of the authoritative Cambridge Textbook of Accident and Emergency Medicine and author of the best-selling book “Whiplash, the Cervical Spine in Medico-Legal Practice” (www.jwrodneypeyton.com). This was written specifically for the legal profession – solicitors, barristers and judges, to assist them in understanding what they might reasonably expect of those they engage as experts in the field of whiplash injury. 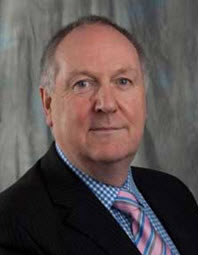 He has extensive experience of delivering Law Society recognised CPD Seminars for solicitors and barristers, in conjunction with McKelvey Associates (NI) and Medical Legal Training Services (UK). He is a founder member of the Expert Witness Institute. Rodney Peyton also has an extensive private surgical practice offering consultations at a variety of venues and with surgical procedures carried out in the Ulster Independent Clinic and the Belfast Clinic in Belfast. Appointments can be arranged as above.